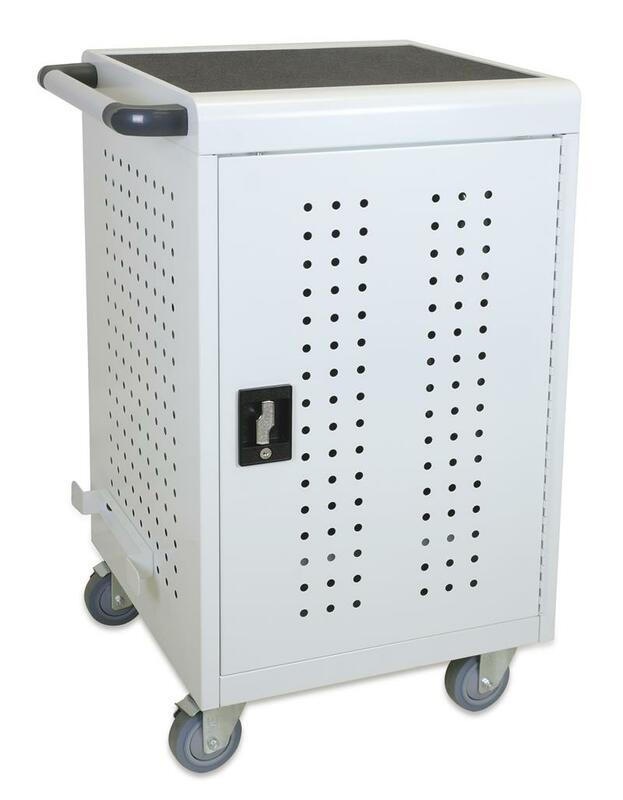 The MCC10B is an affordable solution for charging, securing and transporting up to 30 tablets or netbooks. 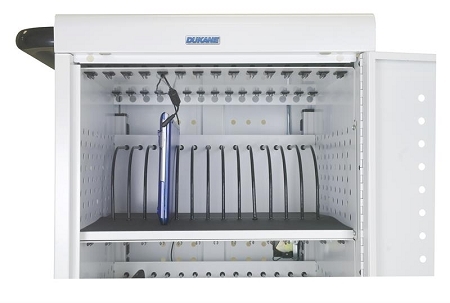 Rubber coated dividers and padded shelves provide protection to your devices. Plenty of ventilation allows air to circulate freely through the unit. 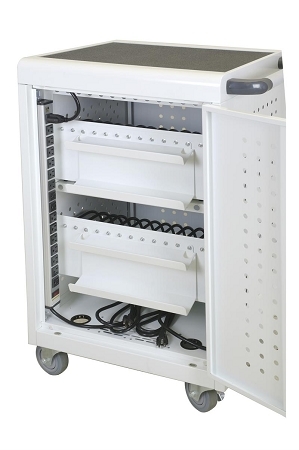 The MCC10B includes side cord wrap, interior clips for cable management, two 16-outlet vertical electrical outlets and 4 wheels with locking brakes. 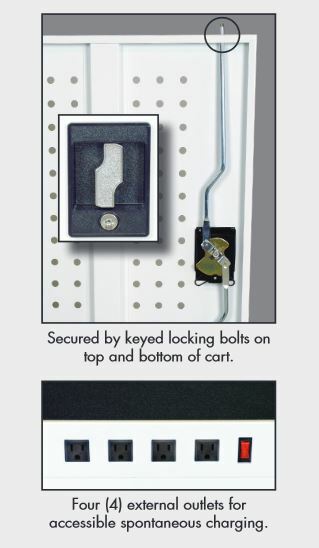 Front and back doors lock with a traditional key system for secure storage and peace of mind knowing your investment is protected.